In the midst of three municipalities – Las Palmas, Santa Brigida, and Telde – is nature’s unlikely pair. One overawes with its sheer size and depth. Whereas, the other is in a spot and has the stature that grants stunning vistas. 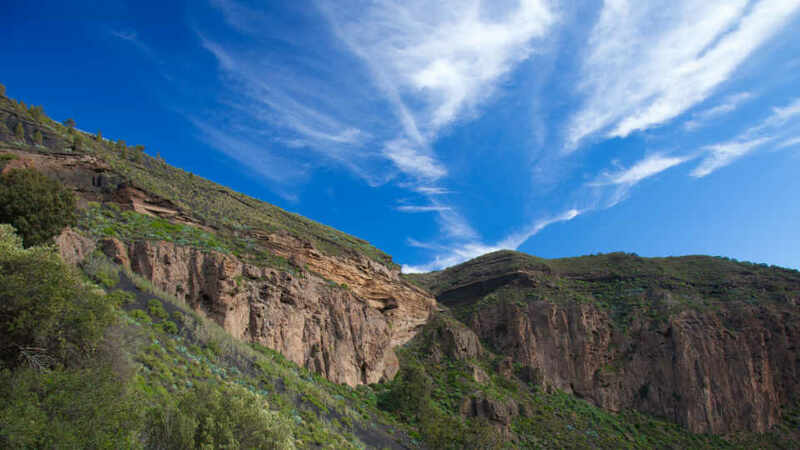 A day trip to this duo, known as the Bandama Natural Monument, shows the best of northeast Gran Canaria. Around 5,000 years ago, an eruption destroyed one of twin volcanic cones. Induced by magma coming into contact with groundwater, the activity resulted into a depression with a retrenched inverted cone form. The one that collapsed ultimately became known as the Bandama Caldera. It was named after Daniel van Dame, a Dutch merchant who grew vines in the gigantic crater in the 17th century. Initially thought to be a caldera (and is still called one to this day), it is actually a ‘maar.’ Although alike as they are both volcanic craters, the reason for their collapse differ. The other volcano came to be known as Pico de Bandama, and it now holds a mirador of the same name. 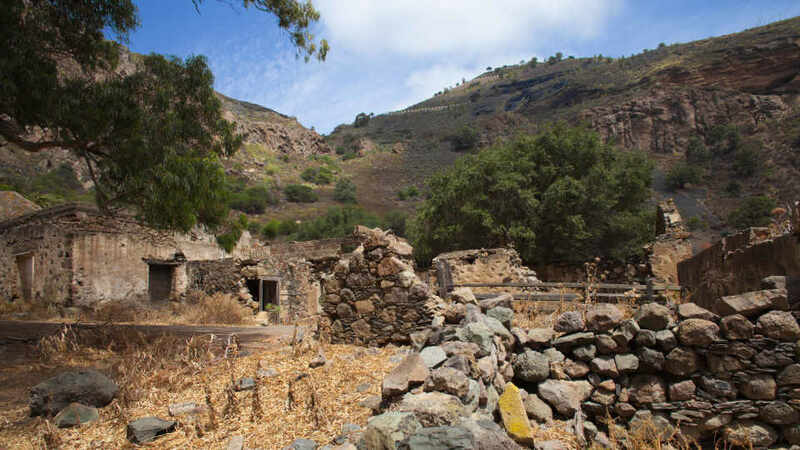 Declared a nature reserve in 1975, they were styled as Bandama Natural Monument. The two landforms of Bandama Natural Monument make quite a combo. Never failing to take anyone’s breath away, the impressive crater is the biggest on the island. Its sunken expanse also serves as home to rich flora and fauna, most of which are endemic. Pico de Bandama, on the other hand, showcases the beauty of the prior and many other regions of the island. Natural and unique, they are unquestionably well worth the visit. With a 1000-meter diameter and 200-meter inner slope, Bandama Caldera has a ‘hole’ lot to offer. Day-trippers can admire it from the Pico or the edge of the maar itself, go around its rim, or hike down to the bottom. The latter, although the toughest, is the most rewarding. Remarkable sights of abundant vegetation, some endemic, keep tourists amused during the descent. Amongst those growing along the path are clusters of palm trees, mastics, and wild olives. At the end of the track, the ruins of forgotten times welcome those who dared to wander. Agustin, the sole resident of the crater, has been living in it since he was 11 years old. It is his abode, and the whole stretch is his backyard. Now aged 90, he has long embraced solitude and dedicated his life to caring for the extinct volcano. Aside from taking an interest in the old dweller, also roam around the former vineyard. Fascinating remnants of a threshing area, a wine stone trough, and farmhouses can be seen. Enjoy, but please look out for Agustin’s crops. Built by native Guanches, Silos Blindados de Bandama is a labyrinth of linked caves used as dwelling and food depot. And, oh, what archaeological jewels these man-made caverns are. Just like a hidden treasure, though, they are difficult to locate. As there’s no path to follow, adventurers should find their own way. From the same track that leads to the crater floor, they must turn left as soon as the cobblestone section ends. The only ‘clue’ that confirms one is in the right direction is the volcanic stones that lead to the first cave. Keep going and, after a few tinier caves, they will reach the facade of the Silo. They must then do a bit of climbing to get into the entrance. And, voila! Finally, they can already discover the chambers and marvel at the petroglyphs. Remember not to only look inside; the panoramas outside are majestic too. Those who prefer the convenience of sightseeing from a viewpoint are in luck. Adjacent to the immense crater is the other half of the Bandama Natural Monument, Pico de Bandama, a 575-meter-high cone that bestows plenty of vistas. From its mirador, tourists can observe and appreciate many parts of the island. Aside from the caldera, be in awe of the whole northern and eastern coasts, and the western highlands. The neighboring island of Fuerteventura in the northeast can also be seen on a sunny and bright sky day. Standing at the apex of Pico de Bandama is the visitor center that was erected in the 1940s. Yes, around the time the Second World War was raging everywhere. Needless to say, the well-made neo-Canarian structure wasn’t built for tourism purposes. Convinced that the British will invade the shores of the Canary Islands, the dictator Francisco Franco ordered the construction of coastal defensive bunkers. And, because of the pico’s advantageous location that affords it with panoramas of the entire north and east coasts, it was his eye for any outside threats. Cloaked as a viewpoint, it also had a hidden underground bunker in case of attack. Today, distant from its battle-ready past, the visitor center has a very welcoming vibe. Aside from the lovely views, the friendly staff greets every guest into the facility. The origins of the maar and the area’s bountiful history are shown through video here too. Right smack in the middle of the island’s oldest and vastest wine area is Bandama Caldera. Before the day of the tour, it is best for visitors to book a visit in advance. Wine tasting with sweet vistas all around is a sure way to enjoy a Bandama Natural Monument jaunt. 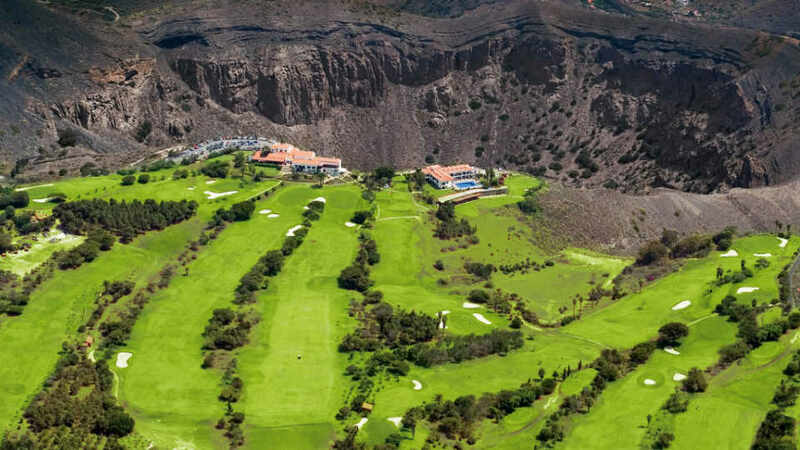 They say the Bandama Caldera is the 19th hole of its 18-hole golf course neighbor. Wanderers sauntering in the caldera floor shouldn’t fret about getting hit though. There’s practically a thread-thin chance of a ball landing on anyone. The Real Club de Golf de Las Palmas de Gran Canaria, established in the late 19th century, is the oldest in all of Spain. Well-maintained and still as fabulous, the club is open to visitors who want to see and try the whole stretch. The dining options near the pico and the caldera is somewhat limited in number. Even so, their small menus are full of tasty eats complemented by jaw-dropping sights at every turn. For delicious and authentic traditional Canarian cuisine, definitely go for either Restaurant La Caldera or Tasca la Caldera. As for Los Geranios and Bodegon Vandama, both offer international plates alongside Spanish and Canarian dishes. The latter is also a winery so diners can come in for a meal or some wine-tasting. If planning to visit the bottom of the caldera, do wear comfortable hiking shoes. The path can be a bit challenging. Enjoy and take time. However, please make sure to be out of the caldera by 5:00 pm which is when the gate closes. A fit person would take around 30 minutes to reach the caldera floor. Of course, the return trek will be a bit tougher and may take a longer time. Please note that the hike to the bottom is not for those with limited mobility. There’s no toilet in the caldera. Should visitors need one, they can visit the nearby restaurants. From the capital Las Palmas, tourists must take bus number 311. They will be dropped off at the Bandama bus stop. From there, they must make a 15 to 20-minute walk to the caldera or barely a 5-minute walk to Pico de Bandama viewpoint. From Las Palmas to the Caldera de Bandama, take either GC-4 or GC-110. The trip will take less than 20 minutes. The star of Bandama Natural Monument is unquestionably the caldera. Filled with flora, fauna and exotic landscape, it is nature’s bowl of goodness. The pico, on the other hand, is there to show off its surroundings. Majestic and stunning, they take everyone’s breath away without so much as an effort. 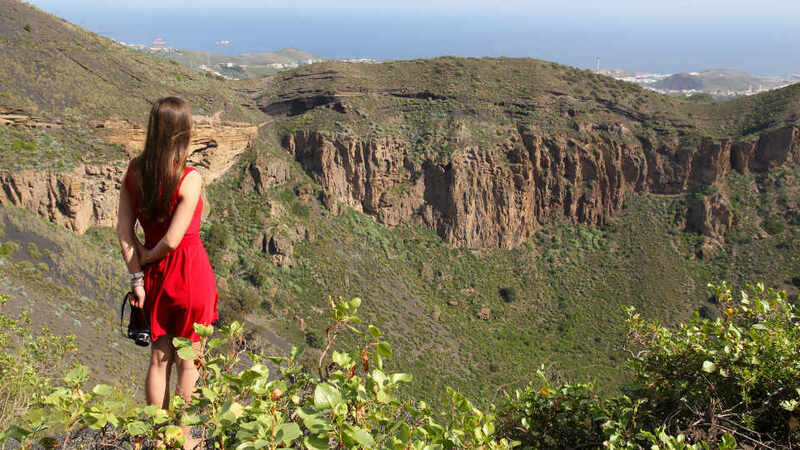 Together, they give holidaymakers an unforgettable Gran Canaria nature experience.